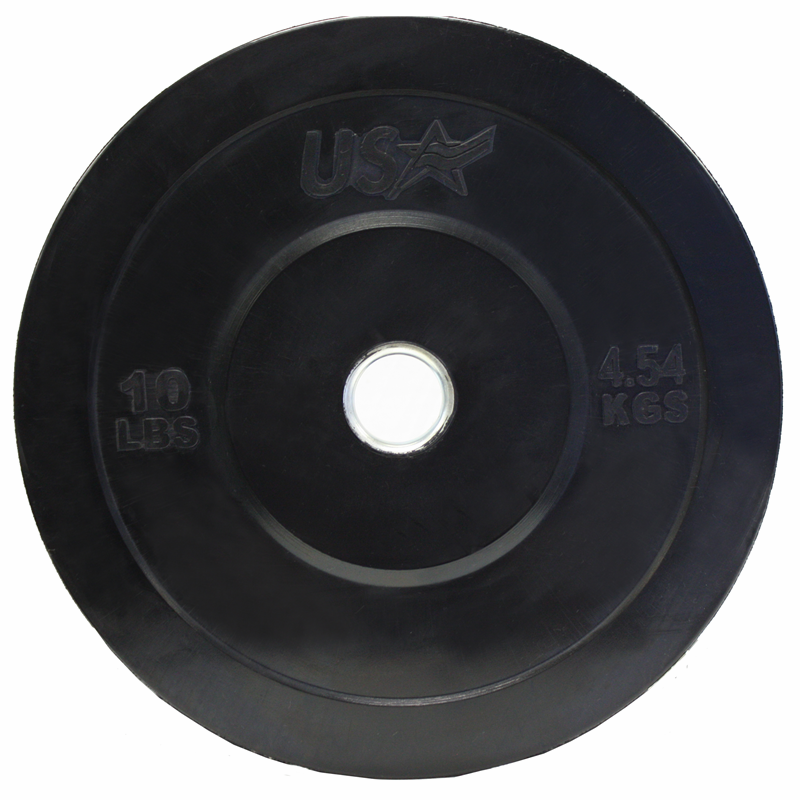 Our new USA brand, black, Solid Rubber Bumper plate with solid steel insert is a quality, branded bumper plate, engineered to our USA line standards. The GBO-SBP black bumper plate features both lbs. and KG markings on both sides. These new bumpers feature minimal amount of conditioner. 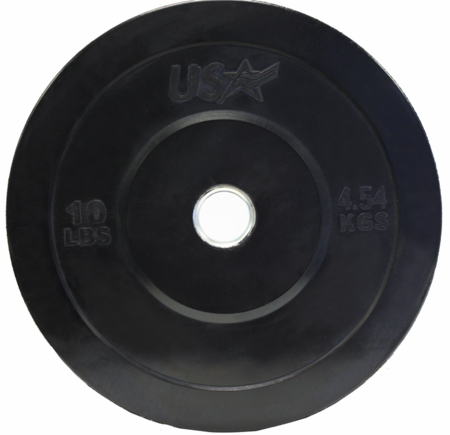 The new USA black bumper plate is the perfect addition to any home gym. 90 day warranty on all sizes. Not recommended for commercial use.